Joan has been an artist her entire life. She began her professional career as an interior designer but found she enjoyed graphic design, website design and website implementation more. She preferred to channel her interests and creative talents into the digital world. Joan is the owner of Margolis West Graphics in Valencia, CA. Her role, in addition to being the "Graphics Diva", is to search for new clients and to network and consult with them so she can "Transform Their Dreams into Visual Reality". She specializes in companies (small or large) who want to create or update their promotional materials in order to teach the public that they are the leaders in their competitive arena. She is sincerely passionate about her design, and every project and client are special to her. No art is finished until Joan has put her final touch on it. Joan has designed for Kaiser Permanente, Nestle USA, and many other companies. No one loves graphics as much as she does. 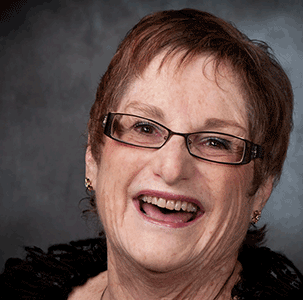 Joan has 30+ years of experience in creating successful graphic and web solutions for clients. She designs and produces any and all forms of printed marketing materials from a business card to trade show graphics and anything in between including designing and implementing websites. Most days she can be found hard at work with her cockatoo, Lola, sitting on the back of her chair.